–Gov. 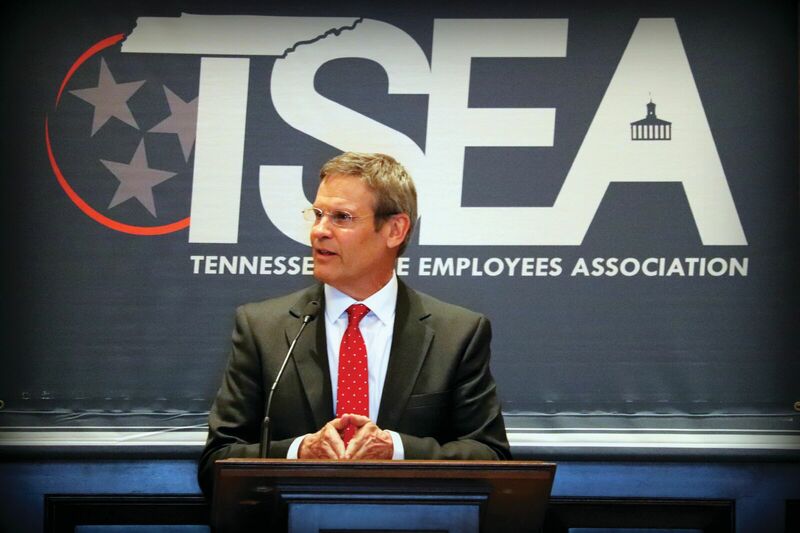 Bill Lee said during remarks to TSEA members at Lobby Day this week. TSEA is thankful to Gov. Lee and House Speaker Glen Casada who both made time to speak to state employees in the House chamber on the morning of Lobby Day. We also appreciate all the state employees who came to Nashville to talk with their legislators about the challenges facing state employees, which is what Lobby Day is all about. Pictures and full coverage of Lobby Day will be available in the Mar/Apr Co-Worker, which will be out soon. This week on the hill, two of our agenda bills, Burden of Proof and Longevity for All, were deferred one week due to time constraints in their respective committees. These are both set to be heard on Tuesday, April 2 (more details below). TSEA Leadership will soon meet with DCS Commissioner Jennifer Nichols to discuss and begin planning a state-wide caseworker listening tour. We will let you know more details as plans take shape. The Department of Correction presented their budget to the Senate State and Local Government committee Tuesday which included more details of their salary adjustment plan for Correctional Officers. However, during the discussion, Sen. Ken Yager voiced concerns over the plan and moved to defer consideration of TDOC’s budget until next week. The committee is now set to consider the TDOC budget on Tuesday, April 2. TDEC also presented their budget which requests another $11M for “unanticipated costs” at Fall Creek Falls. The work on the new facility is currently on hold until July 1 when new appropriations will go into effect. The department’s budget also requests additional dollars to increase the capacity of the new facility at Paris Landing. This request is based on a market study showing a higher demand for rooms than what was initially planned. TDEC Commissioner David Salyers also told the committee he is unaware of any plans to privatize operations at this time. We’ve also attended all the Higher Education budget presentations and had conversations with many of the University Presidents in Tennessee. There are many challenges to solving Higher Ed issues due to the new splintered structure of the FOCUS Act, but there are some common issues, and we are exploring options to standardize the approach to addressing these shared challenges. Senate: 03/26/19 – Senate State & Local Government Committee deferred to 04/02/19. House: 03/12/19 – House State Committee recommended. Sent to House Finance. House: 03/26/19 – House State Committee deferred to 04/02/19. 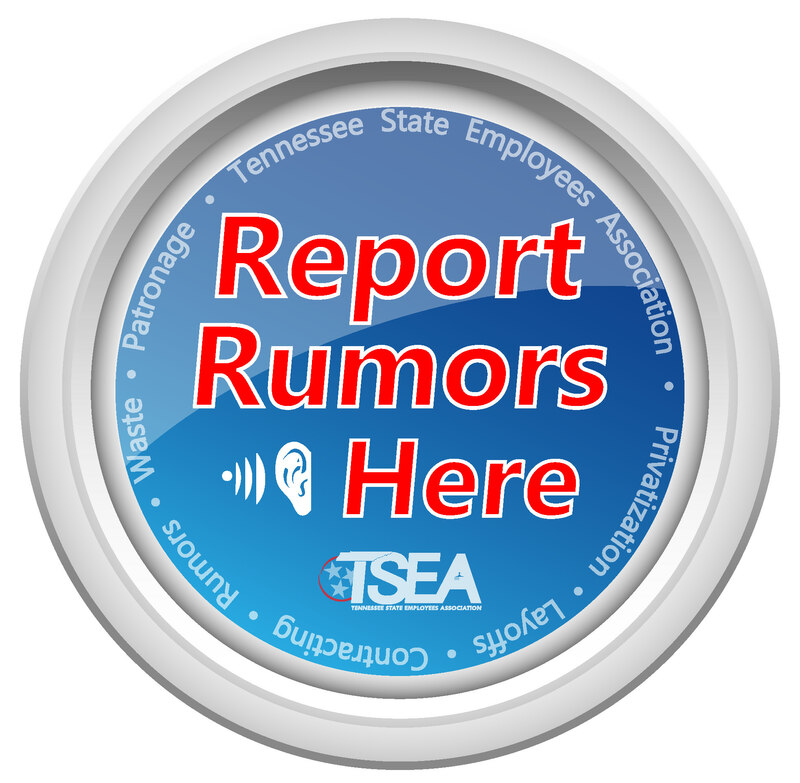 TSEA is an Association founded by state employees over 40 years ago to protect, advocate for, and represent the rights of Tennessee’s state employees. Established in 1974 as a non-profit association, TSEA is one of the largest independent state employee organizations in the country, and one of the most successful at improving the salaries, rights and benefits of state employees. Copyright © 2012 TSEA. All rights reserved.